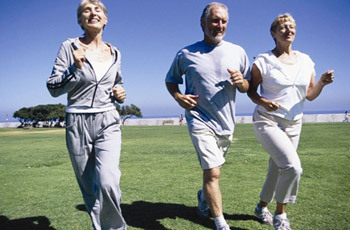 Pulmonary rehabilitation is a combination exercise and education program. Our goal is to assist those with lung disease to achieve their highest level of functioning and improve their quality of life. Pulmonary rehabilitation is staffed by registered nurses with experience in cardiopulmonary disease and chronic illness. Please call us to see if this program is right for you. For more information about Pulmonary Rehab please call (530) 582-3478. Are you recovering from a cardiac event? Pritikin Intensive Cardiac Rehab is a Medicare-approved, comprehensive lifestyle program designed specifically for patients recovering from a cardiovascular disease-related event, such as a heart attack or surgery. Tahoe Forest Heart to Heart can help on your path to recovery. • Monitor your progress and achieve your wellness goals!